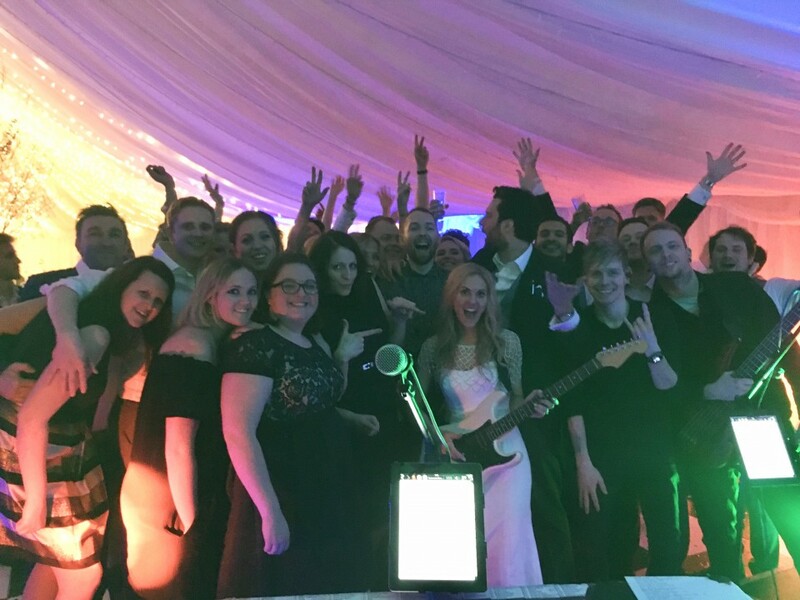 Meet Supercharged: Shropshire’s Most Rocking Party Band! Energy, charisma and an unforgettable live show. 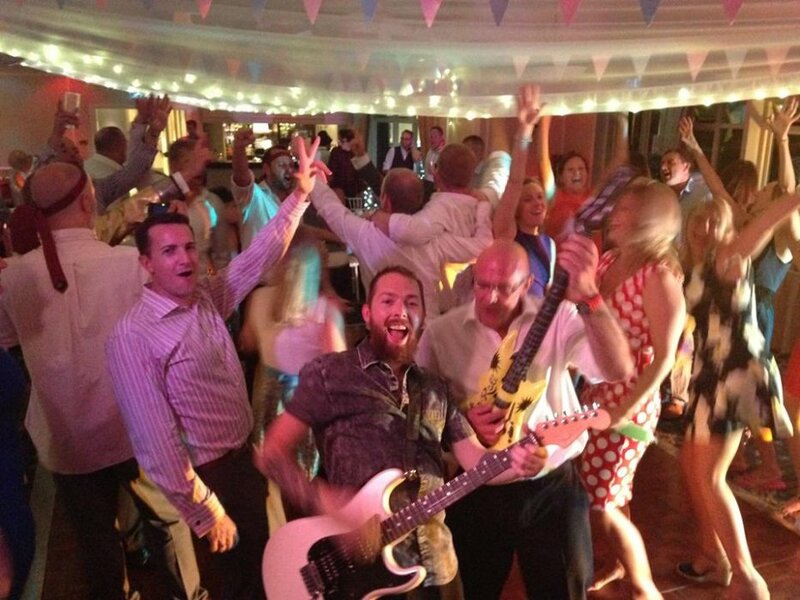 These are just some of the things that you can expect from one of the UK’s most lively and rocking live party and wedding bands. Shropshire based Supercharged stop at nothing to make your event one to remember! 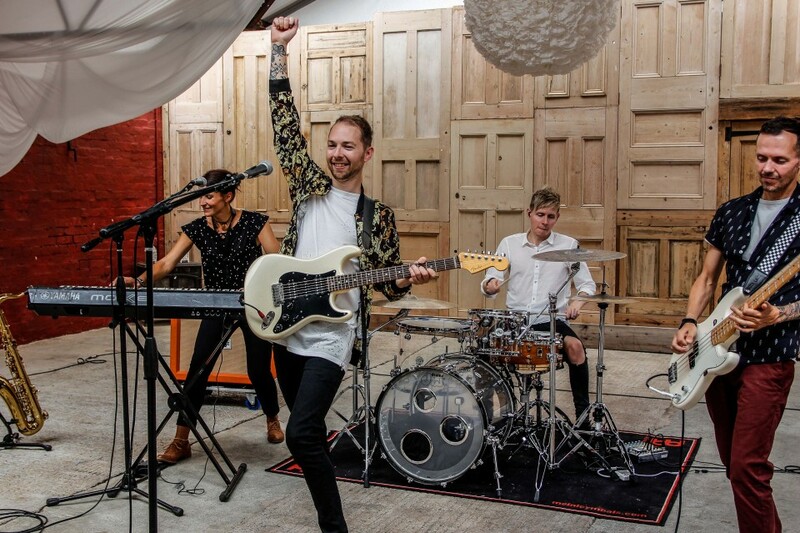 We caught up with the band to ask them a few questions about life in Supercharged, their performing experiences as well as some outright silly questions… enjoy! What inspired you to start Supercharged? 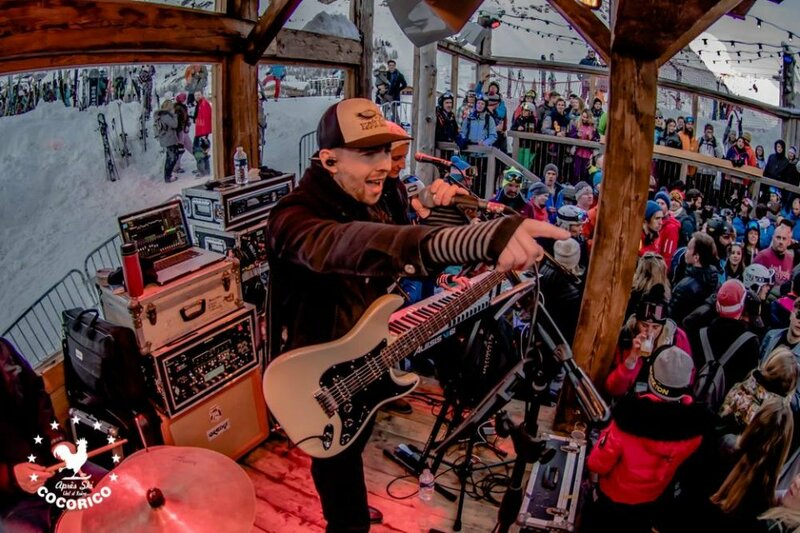 We’d been playing music in the European Alps ski bars and people started asking if we’d play at their weddings & parties back in the UK. 10 years later it’s still our full time job and we still get excited for every gig! Once the gig starts you’re part of something that’s creating energy that builds up between the band and the audience. Then you see everyone having the time of their life & dancing like crazy. It’s what humans are meant to do isn’t it, play music & dance together. What sets Supercharged apart from other bands? We have a lot of skills between 4 people and some awesome gear, so we get loads of variety into the sets. We include lots of different keyboard and guitar sounds, saxophone, male & female vocals. 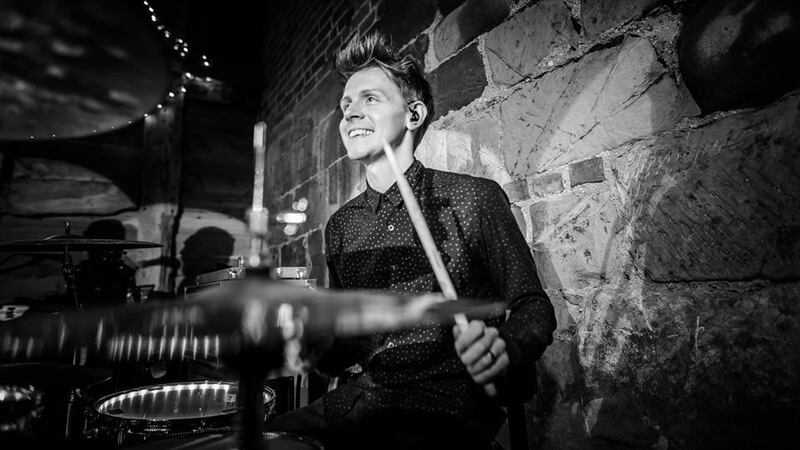 Our drummer Adam is great at multiple styles of playing so each song sounds authentic. Alex (frontman) jumped on a table to play a guitar solo and the table collapsed. 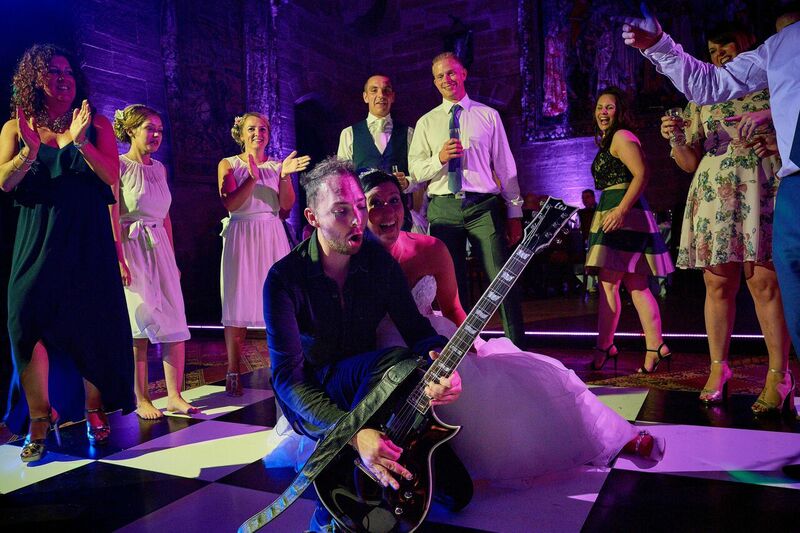 Alex rolled across the dance floor between everyone’s legs… but he was still playing the solo! The venue weren’t amused and we had to pay them £90 for a new table. The groom was a wrestler and his entrance music was Born To Raise Hell by Motorhead, so we were asked to learn it as a surprise. 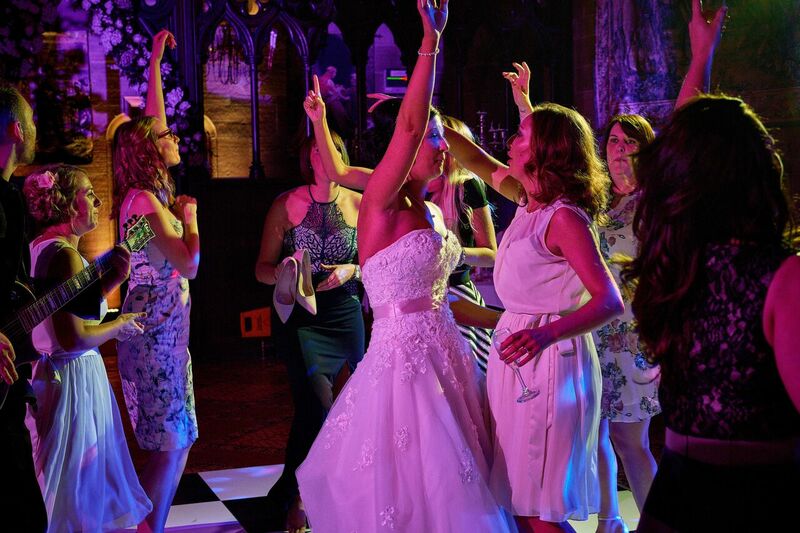 As soon as we started the song the dance floor was full of blokes stripped to the waist leaping around! If you could tour with any band or artist, who would it be? Muse. We love these guys, they never stop breaking new ground, they’re incredible live and they’re pretty down to earth about it all. What advice would you give to anyone booking the band? You’ve done the right thing! You can now relax in the happy knowledge your friends and family are going to have the best time! We never get bored of Bohemian Rhapsody by Queen. We learned the whole thing, and thought there weren’t enough of us for the big choral section in the middle, but the audience always do a stellar job of it! Then everyone goes nuts for the fast section, it’s ace. Can you offer any extras when people book you? Oh yes, we love surprising people with extras! We DJ before & after the band. We take requests and mix on a laptop DJ program. 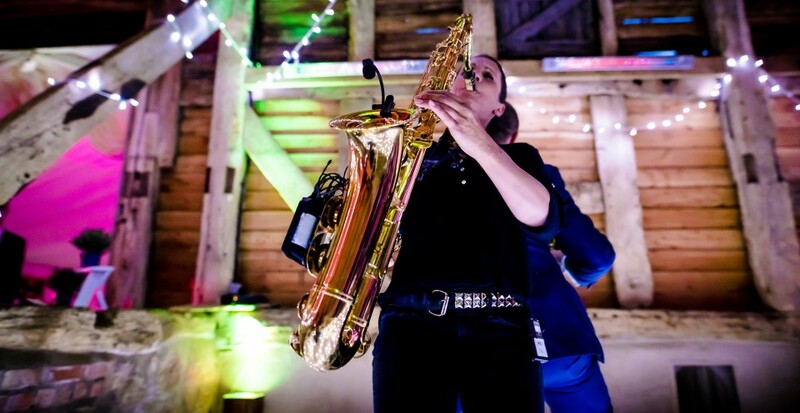 We offer a FREE electro and live saxophone set after the band sets. We bring big moving head lights for the dance floor and Abi has footswitches to change the lights with the changes in the music. We have a confetti canon machine for 1st dance or end of night. You can choose a colour. We have wireless guitar & saxophone mics so we can go out into the audience during songs. Alex loves a little dance and has been really embracing the floss this year. We can provide a wireless mic for speeches. We’re happy to learn a 1st dance song or special request. We offer our clients to choose songs from our song list for the live sets if they’d like to. If you could morph two animals to make one super animal, what two animals would you choose? How about a comedy version of Pegasus… a donkey with bat wings? 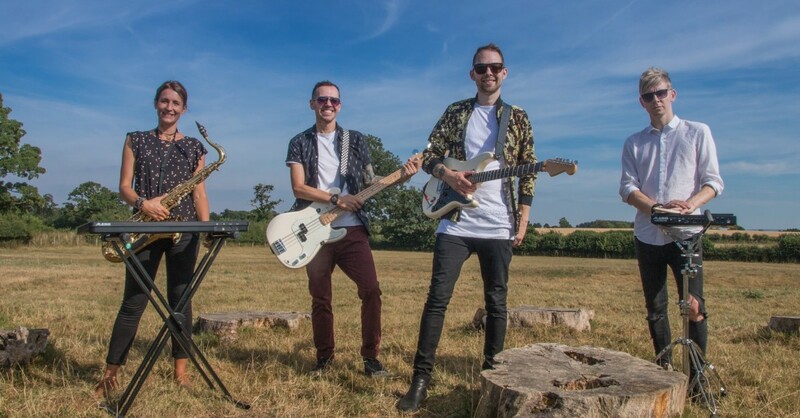 Find out more about the band on Warble Entertainment and follow Supercharged on Facebook!